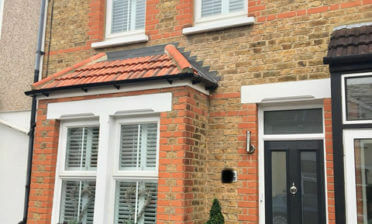 We were recently asked by a customer in Beckenham, Bromley to come up with a solution for their living room windows. Being just down the road from us, we quickly visited the property to conduct exact measurements to use for the design of the shutters. There were two large windows in total both the same size which would require three panels on each. 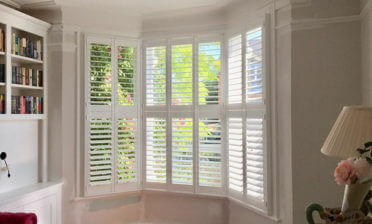 These windows were a focal point of the room and the client wanted good looking shutters which also functioned as needed. Talking with the client, it was decided to create Tier on Tier shutters, which allow the top and bottom sections to be opened, closed and adjusted independently. Our most flexible shutter solution! The shutters were designed to fold out the way when not required and made fully adjustable over all panels when privacy or light adjustment is needed. 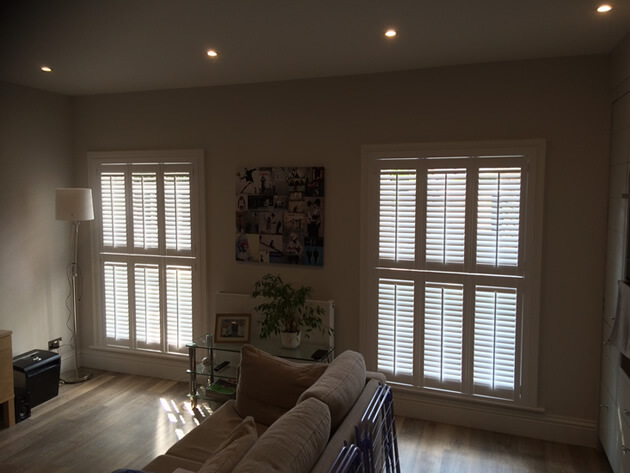 The shutters were created using our Fiji Range with plain styles, a beautiful hardwood which is very rigid and also suited to all environments of the home. The panels feature 64mm louvres with centralised tilt rods for easy adjustment and also to create the look the client wanted. 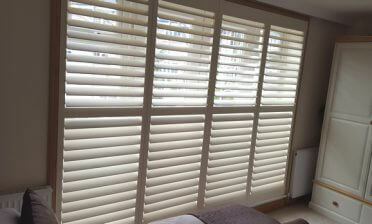 We finished the shutters in a lovely silk white with matching hinges. As you can see they work great with the existing colour and decor within the room!